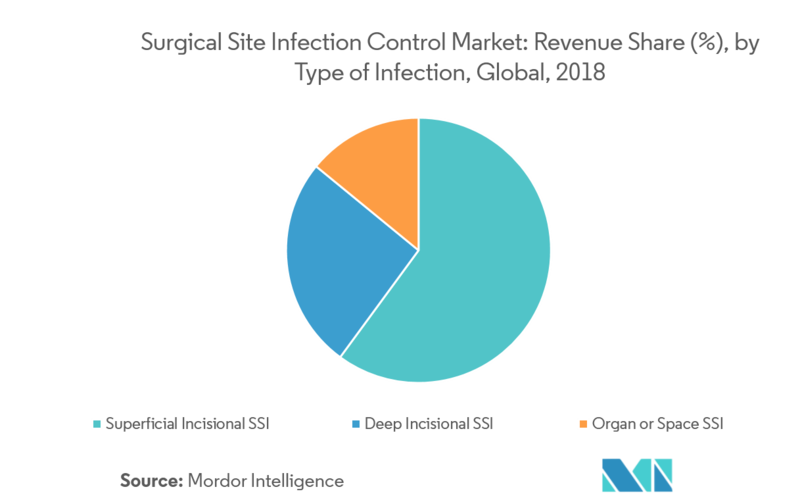 The Surgical Site Infection Control Market is segmented by Product, Surgery/Procedure, Type of Indication, End User (Hospitals, Ambulatory Surgical Centers), and Geography. 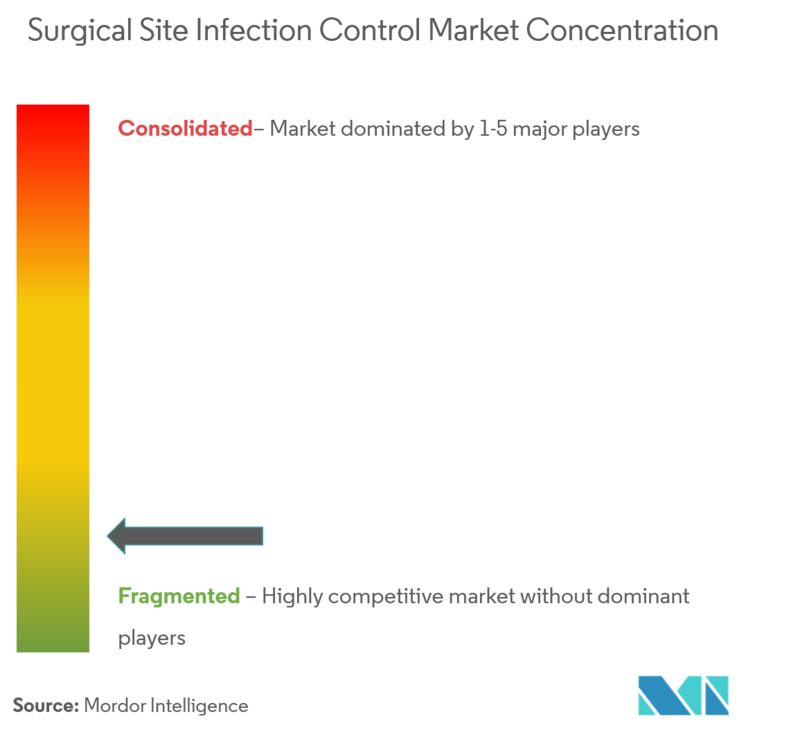 Currently, the global SSI control market is in the growing phase and is dominated by hospitals and developed regions, like North America. 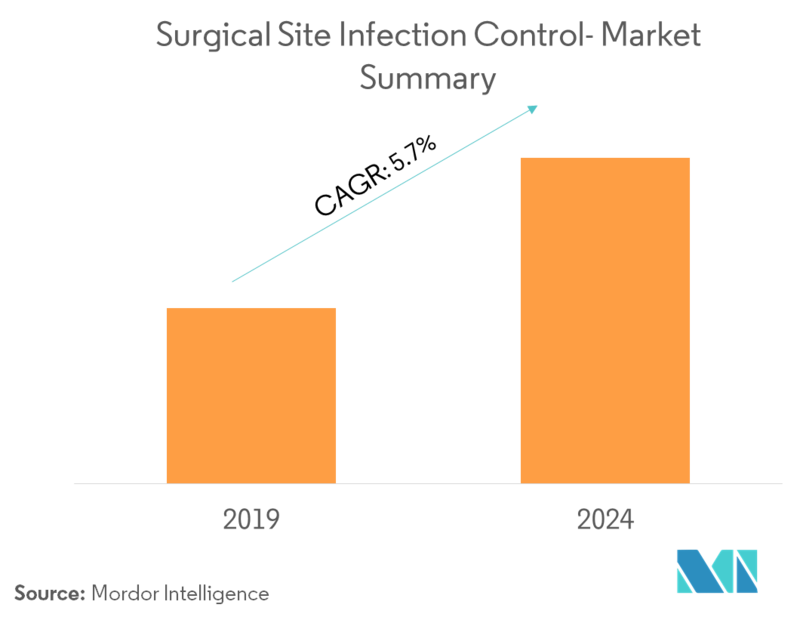 Increasing hospital-acquired infections and number of surgeries are increasingly driving the SSI control market across the world. Increased focus on preventing SSI through appropriate measures has further augmented the market in developed regions. Awareness about surgical site infections is also higher in the developed regions. This has led to higher adoption of SSI control products, thus, preventing infections among people. The increasing geriatric population has also impacted this market positively. As per the scope of this report, surgical site infection (SSI) is an infection that occurs after surgery, in that part of the body where the surgery has been done. Surgical site infections can be superficial, deep incisional, or organ related. Surgical site infection (SSI) represents the most common nosocomial infection and accounts for about 15% of all nosocomial infections. Surgical site infection is one of the most common complications of gastrointestinal surgery. This type of surgical procedures and wound closure methods affect the incidence of superficial incisional surgical site infection. There is an increase in the incidence of superficial incisional SSI infections, as compared to deep incisional SSI and organ or space SSIs. 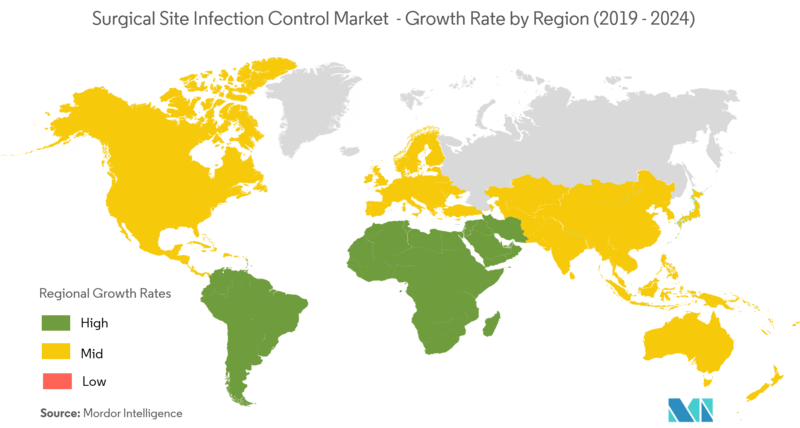 North America dominated the surgical site infection control market, with the United States contributing the largest share in the regional revenue. SSIs are considered the most common (tied with pneumonia) healthcare-associated infection (HAI) among inpatients in acute care hospitals in the United States. SSIs occur in an estimated 2-5% of patients undergoing inpatient surgery. The estimated annual incidence of SSIs in the United States ranges from 160,000 to 300,000, and the estimated annual cost ranges from USD 3.5 billion to USD 10 billion. Hence, the rising need for the prevention of SSI can be attributed to the rising number of surgical procedures performed in the United States. 3M Company, Becton, Dickinson and Company, Biomerieux SA, Getinge Grou,p and Johnson & Johnson are some of the major players in the surgical site infection control market The competitive rivalry of the market studied has intensified, owing to the constant product innovations across the world.